Developed by KS·CPOST pursuant to 2005 Kansas Senate Bill No. 195 (KSA 74- 5607), the required annual Training Year (TY) statewide firearms qualification standard will become effective beginning with Training Year 2007 (TY07) and thereafter. TY07 is defined as July 1, 2006 through June 30, 2007. Thereafter, a training year is identified as the period of time from July 1st through June 30th of the following year. KS·CPOST requires that all full-time and part-time police officers and law enforcement officers as defined by KSA 74-5602(f) must qualify (achieve a passing score of 70% or greater in accordance with course management rules) at least once annually on the KS·CPOST statewide firearms qualification course of fire. There is no established or set time during the Training Year when the required annual firearms qualification must occur however officers must complete the KS·CPOST qualification process with their duty weapon on or before the last day of each Training Year. Volunteer Auxiliary/Reserve Police Officers or Law Enforcement Officers are defined in KSA 74-5602(i) as members of organized non-salaried groups which operate as an adjunct to a police or sheriff’s department, including reserve officers, possess and search and rescue groups. These groups of volunteer and reserve police officers or law enforcement officers are not required by KS·CPOST rules to complete the annual firearms qualification however, agencies are strongly encouraged to adopt the same firearm qualification standard for their volunteer auxiliary/reserve police officers or law enforcement officers who are authorized by law to carry firearms. All full-time and part-time police officers and law enforcement officers must achieve a passing score of 70% or greater (in accordance with all course management rules) with their duty weapon on the KS·CPOST course of fire at least once during the Training Year. The decision of what constitutes an officer’s “duty weapon” shall be left to the discretion of the agency head or his or her designee. 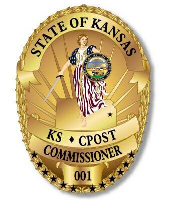 KS·CPOST requires each full-time and part-time Kansas police officer or law enforcement officer as defined by KSA 74-5602(f) to qualify at least once annually with their duty weapon. Aside from an officer’s duty weapon, the total number of additional firearms (if any) that an employing agency may require their officers to qualify with during a Training Year is left to the discretion of the agency head. The individual(s) designated by the agency head as the agency’s firearms instructor or Rangemaster charged with administering the annual KS·CPOST statewide firearms qualification standard course of fire must be an individual recognized by the agency head as being qualified by any combination of certification(s), training and experience to instruct or supervise firearms qualifications. An agency’s designated firearms instructor or Rangemaster must be present when conducting the required annual KS·CPOST qualification process. Only the 50-round KS·CPOST Firearms Qualification Course of Fire as adopted 8/2/05 shall be used by agencies for the annual firearms qualification requirement. Only those firearms targets specified in the KS·CPOST Firearms Qualification Course Management rules are authorized for use. Successful completion of the KS·CPOST firearms qualification course requires achieving a passing score of at least 70% or greater (35 hits or more) in accordance with all KS·CPOST course management rules. KS·CPOST requires that all full-time or part-time Kansas police officers or law enforcement officers qualify (achieve a passing score of 70% or greater in accordance with course management rules) at least onceduring the Training Year (July 1 through June 30) on the KS·CPOST annual firearms qualification course of fire. The total number of qualification attempts (re-shoots) that an officer is allowed by his or her employing agency during a Training Year is at the discretion of the agency head. Each agency head must maintain written documentation and submit evidence of their officers’ successful compliance with or failure to complete the required KS·CPOST annual firearms qualification standard each Training Year. The required reporting shall be completed using either the KSCPOST’s on-line continuing education tracking system or submitted on forms as provided by KSCPOST for such purpose. Additionally, agencies shall comply with all KS·CPOST firearms qualification documentation and reporting procedures as found in the document entitled, In-Service Training Guidelines for Kansas Law Enforcement. Before the conclusion of the Training Year (June 30th) each agency head shall report their agency’s officers who have failed to achieve a passing score (of 70% or greater on the KS·CPOST annual firearms qualification course of fire) during the reporting period or to report their officer’s failure or inability to participate in the KS·CPOST firearms qualification process as required during a Training Year. 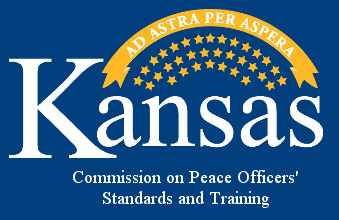 All matters regarding an officer’s failure to successfully comply with or inability to participate in the required statewide firearms qualification process during a Training Year will be addressed and handled by the Kansas Commission on Peace Officers' Standards and Training. The Executive Director may modify, waive, or extend the in-service training year for the 40 hour training requirement. However, there is currently no remedial process for Firearms Qualification. It is important to note that if an officer's firearms qualification is not reported to KSCPOST, then that officer will show as not having qualified for that training year. In these cases, the officer should be qualified as soon as possible. Nothing in the KS·CPOST annual firearms qualification requirements shall be construed as prohibiting Kansas law enforcement agencies from requiring within their respective agencies an additional number of firearms qualification requirements annually with internal agency ramifications for non-compliance, nor shall the KS·CPOST annual firearms qualification requirement prohibit individual Kansas law enforcement agencies from using, for an agency’s own purpose, other tactical or marksmanship courses incorporating different targets, and stages of fire and scoring. Any supplemental agency-specific firearms qualification course(s) may be used in addition to but not in lieu of the KS·CPOST annual firearms qualification requirement. Firearms qualification results other than the KS·CPOST required annual qualification will not fulfill the KSCPOST firearms requirement.